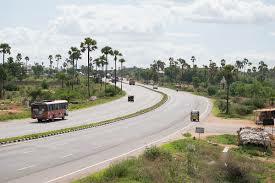 The Guntur Hyderabad State Highway of Andhra Pradesh will be converted into four lane soon. The State Government will be spending more than Rs 800 crore on this project. The existing highway of Perecherla and Kondamudu will also be beautified under this project. The project was stalled for the past four years as the State Government was hoping of a Central aid for this project. But, now the AP Govt will go ahead on this project alone. The highway is expected to bring economic development in the areas of Sattenapalle, Gurazala, Tadikonda, and the peripheral regions of Guntur mandal. It is the shortest route to connect Hyderabad with Amravati. The State Government’s plan to invite private companies have failed miserably. It will be a 52 km long highway.